The Pound New Zealand Dollar (GBP/NZD) exchange rate is down – and currently trading at NZ$1.8625 – after UK Prime Minister Theresa May threatened MPs with a plan to prepare for Brexit ‘no-deal’. The Pound (GBP) was further affected by the Bank of England’s forecast of a Sterling nosedive of 25% if a Brexit ‘no-deal’ should occur, strengthening the case for Theresa May’s withdrawal deal. 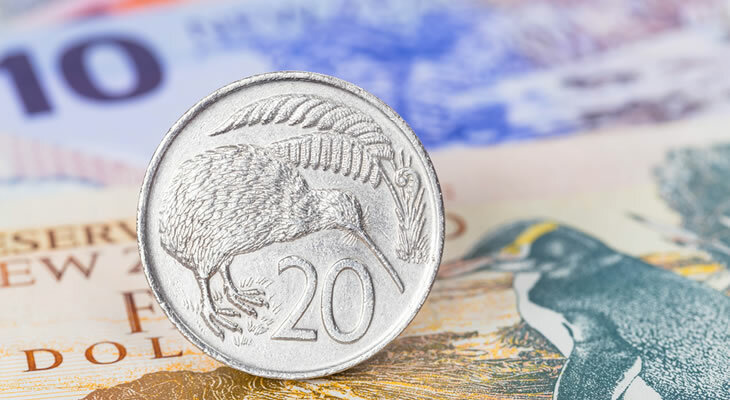 NZD found support from the Reserve Bank of New Zealand (RBNZ) Governor Adrian Orr’s comments yesterday, in which he said that financial threats had decreased over the past six months. This came on the back of New Zealand’s Financial Stability report on Wednesday, which stated ‘financial system risks have eased, but remain high,’ lending some support to the ‘Kiwi’. ‘[W]e know from our contacts with business, others know from their contacts, that less than half the businesses in the country have initiated their contingency plans for a no-deal Brexit’. This caused tension amongst MPs, with some calling it ‘project hysteria’ in a bid to force through Theresa May’s withdrawal deal against a stark ‘no-deal’ scenario. Meanwhile the BoE’s release of UK mortgage approvals remained positive today, showing 67.086K for October – an improvement of 1.36K on last month’s figures. The NZD/GBP exchange rate, meanwhile, saw some relief from ANZ business outlook figures, which showed 7.6% for November, an increase of 0.2% on September’s figure. However, business confidence remained at a static -37.1, showing a pessimistic outlook for New Zealand’s economic situation, dampening investor confidence in the ‘Kiwi’. The New Zealand Dollar (NZD) is likely finding support from optimism surrounding the G20 summit in Argentina over Friday and Saturday, which will see US President Donald Trump and China’s President Xi Jinping meet to discuss trade, with investors hoping for the two leaders to meet a consensus. Later on today will see the release of the number of NZ building permits issued for November, if figures show an increase this will likely bolster investor confidence in the ‘Kiwi’. The GBP/NZD exchange rate will be driven by events surrounding Brexit, with Theresa May pressing forward with her campaign to gain Parliament’s backing for her withdrawal deal. Friday meanwhile sees the publication of November’s Gfk consumer confidence index for the UK, which is expected to decrease. Overall the GBP/NZD exchange rate is likely to remain sensitive to Brexit developments, with NZD investors paying close attention to the imminent G20 summit which will likely determine global trade-based risk sentiment for the rest of the year. Next ArticlePound Euro Exchange Rate News: GBP/EUR Muted, Will Slowing Eurozone Inflation Dent Chances of ECB Rate Hike?